Blood certainly will have blood in this ferocious adaptation of Shakespeare’s play in which brooding menace often gives way to a vicious violence, regularly soaking the sky and land in deep crimson. This is a sparse adaptation which sacrifices a considerable amount of dialogue in favour of lingering shots of war, murder and insanity. And, although it is a shame to lose some of the classic words which are so integral to Macbeth, those which remain are delivered with a thrilling vehemence by the cast, in particular Michael Fassbender who gives his all in a deeply committed and psychologically introspective take on the fatally ambitious Macbeth. Alongside the omitted text are two key interventions into the play; Macbeth’s offspring and Lady Macbeth. Firstly then let’s talk about the offspring, in the play Macbeth is childless however in Kurzel’s version we see him burying his young. It’s a slight change but has huge ramifications upon various plot points and character decisions, perhaps most potently the way Macbeth treats the sons and daughters of his various foe’s across the film as well as informing the Macbeths’ descent and giving a different flavour to Lady Macbeth’s line: “Th’ effect and it. Come to my woman’s breasts,/ And take my milk for gall, you murd’ring ministers” (1.5.45-46). Talking of Lady Macbeth, Marion Cotillard relishes every scene she has here and grants them the potency that only an actor of her skill can bring, however those expecting a villain to boo and hiss at will be surprised. The second of these interventions has Lady Macbeth begin Machiavellian however she soon becomes surprisingly sympathetic as she recoils in horror from the pre-emptive murders her husband is carrying out. I don’t mind this change, although I’m sure plenty will, as we get to see the infamous character through a different lens and as a result Cotillard gives us the most powerful scene in the film. What it does do though is shift the focus primarily to Macbeth, rather than being split between them. There’s much to talk about here, far too much for one simple review; from the PTSD angle on Macbeth’s madness to the way the witches are underplayed, appearing as simply dressed women with no wicked chants that involve eyes of frog and tongues of dog. No doubt people will analyse this adaptation for years to come alongside many of the great Shakespeare’s on film. For now I will simply urge you to watch it, ideally on the big screen. Cinematographer Adam Arkapaw has created a thing of savage beauty here, and when you see it accompanied by these performances and the thundering score you will thank me for urging you to see it in the theatre. 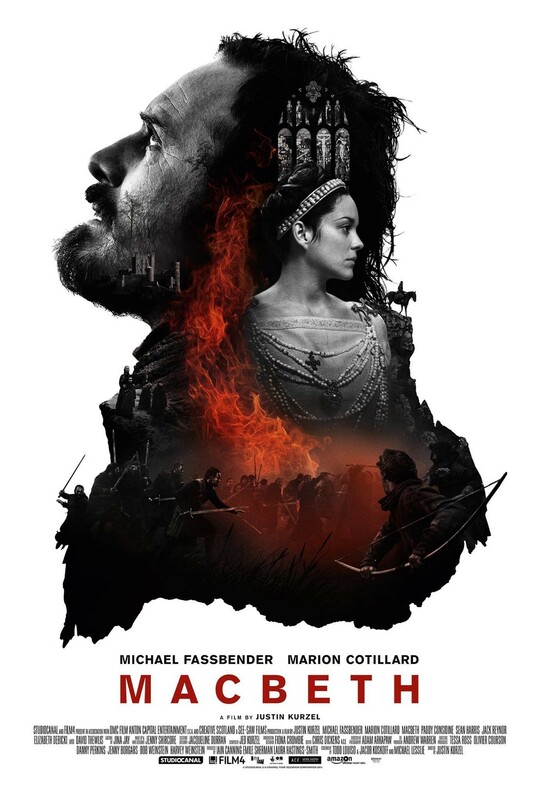 Kurzel’s Macbeth needs its audience to be aware of Macbeth and its plot beats as it will be hard to follow for those unfamiliar with the play due to the cinematic emphasis on image rather than spoken word. The finer points of the play are perhaps lost in favour of creating a psychological portrait of madness and obsession; the inner conflicts of the Macbeth’s being projected outwards, both infecting the film’s visual palette and mapping their psyche across the Scottish landscape. I relished in it. It has been a long time since we have had Shakespeare which isn’t simply an impressive technical exercise but a guttural, primal thrill and this depiction certainly is that with its shattering performances, heightened passions and fire and brimstone set pieces. However it is perhaps not designed for Shakespeare purists. 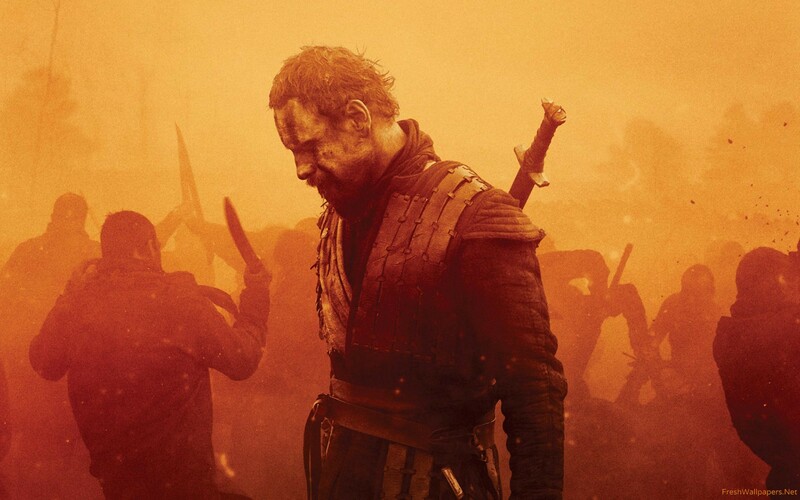 Macbeth is open in UK cinemas now, are you planning on seeing it? Let us know in the box below! Great review. I’ve been on the fence about this one but I think this has tipped me over. The only thing that worries me, according to your review, is that I don’t know Macbeth at all. Perhaps that will somehow make the movie better as I won’t know what is going to happen next. Either way, I need to see this as it is an Aussie director behind the camera. Have you seen his first film, Snowtown? Cheers! It’ll be interesting to hear what you make of it as someone who doesn’t know the plot. I don’t think it will be impenetrable as in many ways the core story is pretty simple to follow and this version mostly focuses on the visuals and Fassbender’s face. No, I really want to see Snowtown though. Have you? Oh wow, didn’t know it was rooted in truth! Which state is that? Wow, that’s interesting to hear. Something I’m completely ignorant of over here in Britain! Hehe yeah we’re kinda out of the loop down here haha! Lots of interesting stuff happens but it just doesn’t make world news. btw I just saw Macbeth. I loved the looks of it and it was great how it depicted a man being corrupted by power, but I literally understood about 5% of what was said. I’ve never read Shakespeare, didn’t do it in school. And not only that the Scottish accents are so thick that made it even harder for me to understand. Good thing the film is so visually striking!! Haha I didn’t factor in the accents too when thinking about people new toy he play! You glad you saw it then or not so much? Haha! Glad to hear the broad sweeps of the story came through. Lady Macbeth makes sense, her motives are muddled in this one which is interesting for those who know the play but I can see why it was confusing. Normally she is Machiavellian to the extreme, one of the great evil characters. Here she is quite different though. Fair enough, I thought that scene where she delivered her speech to the ghost of her baby’s corpse was one of the film’s best moments. Although at other times she did pale next to Fassbender’s fury! I remember that speech but unfortunately I couldn’t follow it at all. I bet watching this on BR with subtitles would make for a much more in depth experience. I have always found Scottish accents hard to understand, and half the time in this they are semi-whispering as well, making it even harder for me!! Yeah subtitles would help considerably I imagine, I didn’t struggle that much but not because I’m good with dialects but because I know the play back to front after studying it for many years! Glad you loved it though, it’s good to hear that. Thanks! Yeah who could turn those two down! Cheers Tom! I really hope you enjoy when you get to see it. It’s very arty with slow motion and a beautiful colour palette, and the tweaks give it an interesting and somewhat unique edge. Good read! I found the treatment of Lady Macbeth really interesting, particularly the way it makes us consider Macbeth himself in a different light; it makes a refreshing change from the way that adaptations (or even the original play) partly let him off the hook for his actions because he is being manipulated by this terrible woman. Here the murders are his choices and the justice at the end is more keenly felt as a result. Yeah very good point, it was really interesting to observe her realising she had awoken a monster. Particularly during the execution by fire scene – another interesting departure from how we normally see that moment. Great review. This is perhaps my favourite straight adaptation of Macbeth outside of Kurosawa’s Throne of Blood. Thanks Andrew, It’s right up there with the best isn’t it. What did you think of the way they handled Lady Macbeth? No worries! I thought Cotillard was magnificent, particularly her last monologue. A minor criticism would be about how she’s sidelined somewhat to Macbeth himself, but to be honest always found the explanation that Macbeth commits regicide because Lady Macbeth tells him to to be a bit weak – much prefer this PTSD explanation. Wasn’t she just! I was disappointed that she was sidelined a little but I can live with it. I guess it gave her presence, when she was there, that extra power and potency. Yeah the PTSD thing is something I just didn’t have time to bring up in this review really but I am also a fan of it, that coupled with the death of the child really allows us to understand his decision that much more. That said, it’s less shocking when he carries out the dead than it is in other versions, it’s not such a tipping point, rather here its more just part of a general descent into the oblivion. Yeah, Cotillard was really magnificent. Makes her lack of a Scottish accent forgivable! Indeed, there are so many great new interpretations in this film, particularly “is this a dagger I see before me” and the woods coming to Dunsinane, it really helps set this film apart from others. Whilst I absolutely adore Orson Welles’ version, I think this one tips it for me as the best straight adaptation. Saying that, I have yet to see Polanski’s Macbeth, so that’s something I need to see at some point. Haha true, although I can accept that Macbeth married a high class French woman as that wasn’t uncommon at the time period. See Polanski’s and then you’ll have seen all of the key versions in my opinion. It would be interesting to see how you rank them once you’ve seen that one too. Ah yes, actually I hadn’t thought of it like that before – makes a lot of sense actually! It’s on the schedule for sure – might do a ranking afterwards at my own blog! Heard mixed things about Polanski’s, know some people love and some people hate it so I’m interested in seeing it soon. Ah cool, you’d have to let me know if you do! Didn’t know you had a blog but just found it and followed. I think it is one which you have to watch to be able to have a ‘complete’ opinion on what are considered the best Macbeth films. I need to re-watch some of them too actually to really know how I would rank them. Ah thanks for the follow! Much appreciated 🙂 Yeah that’s the feeling I get, Polanski’s is one that is oft discussed. I haven’t seen the Orson Welles one for a while so will have to watch that again too. Fantastic review, I gotta see this movie. I love both of the main actors in it so I’m sure that will be a bonus. Me too, they both are on great form here!